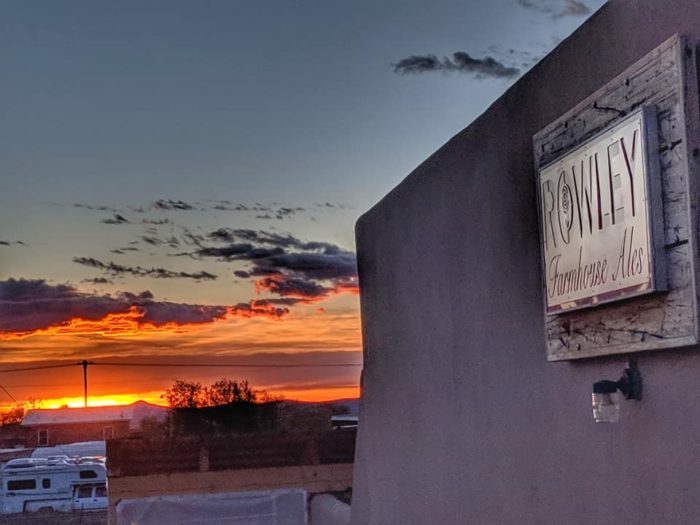 When going out in New Mexico, it’s best to pick a place with the perfect atmosphere to enjoy the scenic views of the Land of Enchantment. 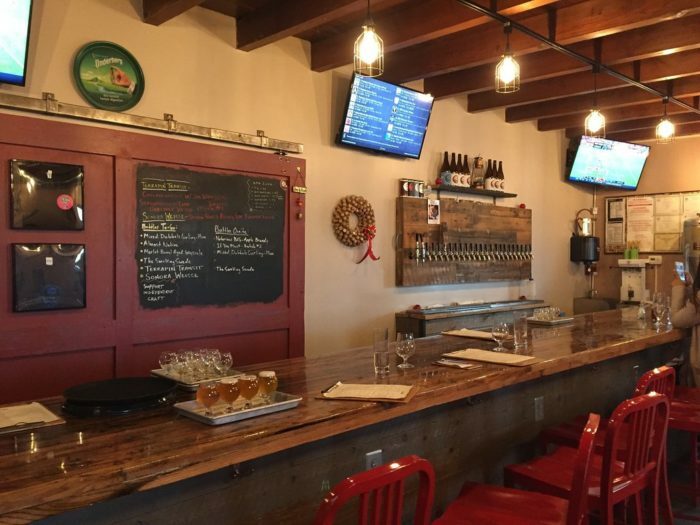 This farmhouse brewery in Santa Fe also serves as a gastropub, offering delicious food served within a charming atmosphere. When rustic decor meets homemade brews, the night comes to life and you’ll want to stay at this chic patio for hours. 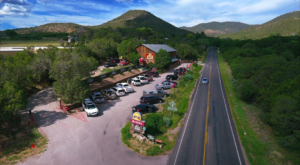 If you’re looking for a fun night out, a great bite to eat, or just want to try something new, you won’t want to pass up this farmhouse brewery in Santa Fe. 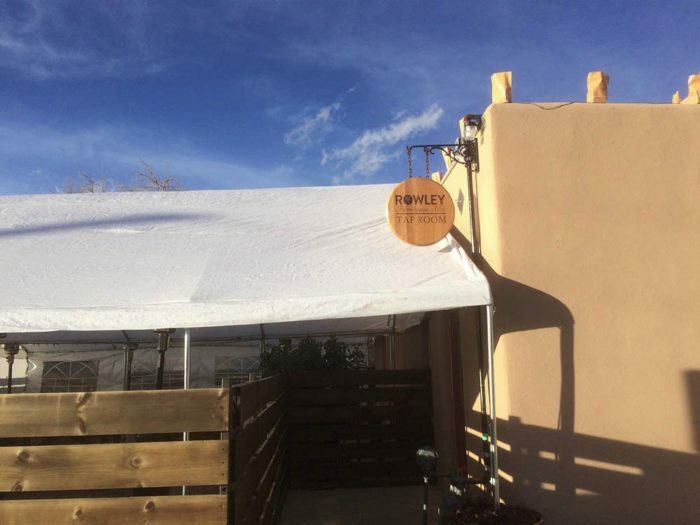 Welcome to Rowley Farmhouse Ales in Santa Fe! This charming farmhouse brewery offers so much more than delicious craft beer, though the beer is plentiful. This independent brewery specialized in farmhouse ales, wild fruit beers, and sour beers. 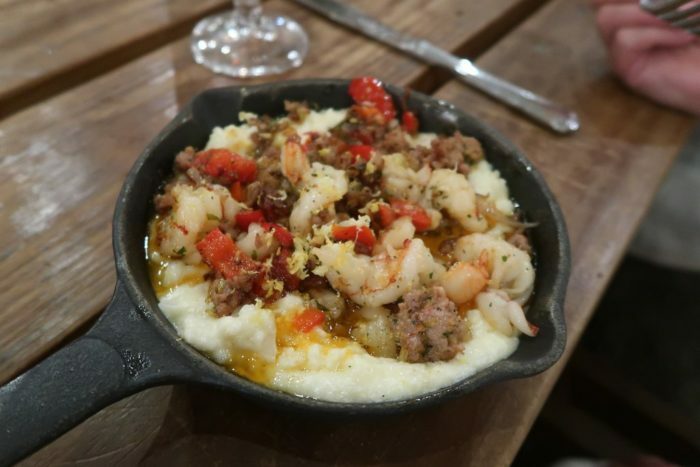 Whatever your palate is fond of, you're sure to find here. 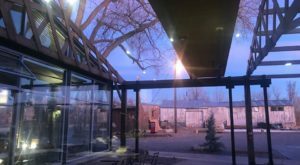 What makes this Santa Fe brewery so charming is their covered patio, complete with flowers and heat lamps if it gets cold. This rustic decor at Rowley makes for the perfect atmosphere any evening. 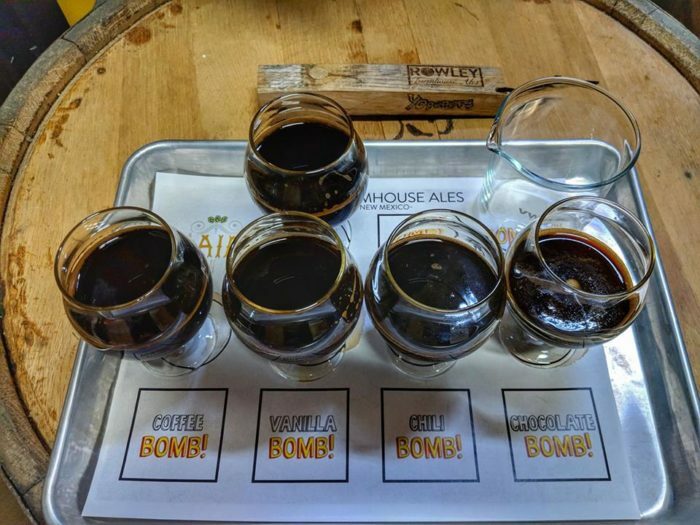 Don't worry if you can't decide on the perfect brew, you can make a flight of many different beers to try them all. Every staff member is able to help you look through their extensive beer list without sounding pretentious. You're sure to find a new and interesting brew at Rowley. Another great part about Rowley Farmhouse Ales is their food! 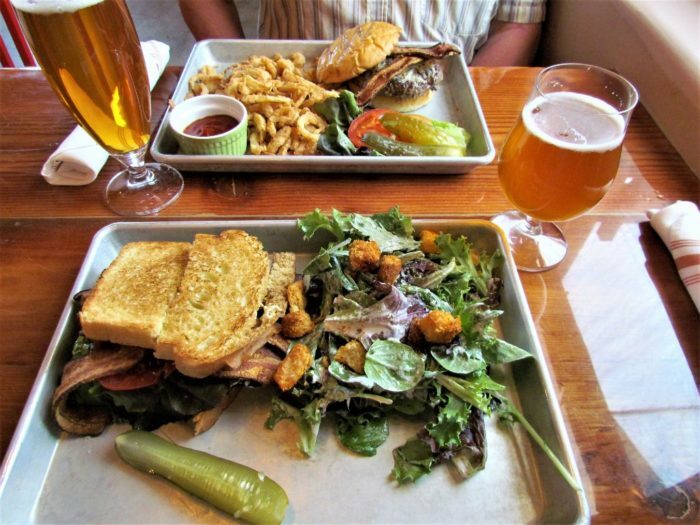 Whether it be small plates, comfort food, or a great sandwich, you won't leave this brewery hungry. Some famous menu items from the made-to-order kitchen are the chicken and waffles, mac n' cheese, and delicious clam chowder. Smaller plates are available if you aren't feeling too hungry, but it's never a great idea to drink on an empty stomach. 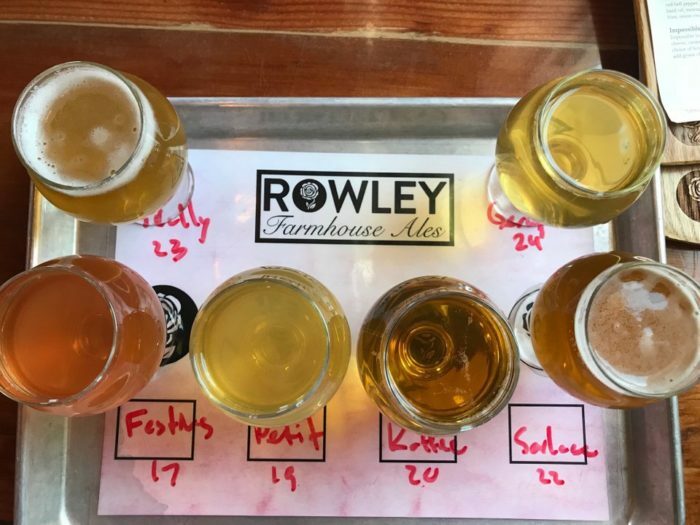 In addition to their own beers (of which there are many), Rowley's offers many draft pours and bottles from New Mexico, and all over the world. Once you try the beer at Rowley, you'll be a connoisseur in no time. 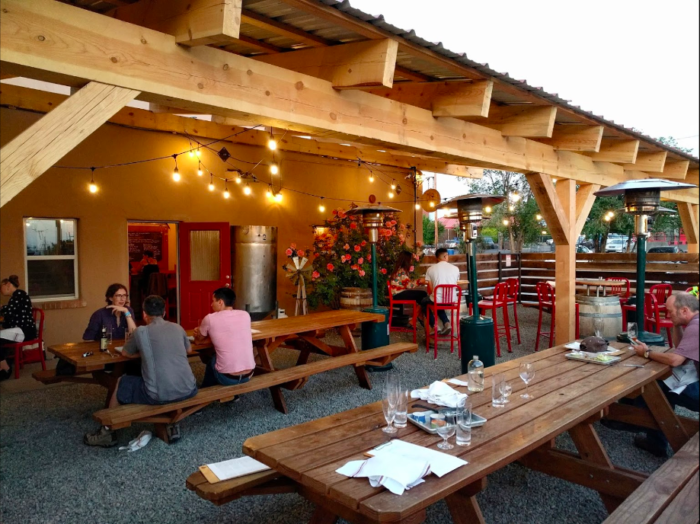 Whether you're a huge beer fan, or just want to try something new, this charming farmhouse brewery serves up amazing beer and delicious food to go with it. This Santa Fe spot should not be passed up. 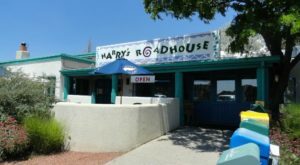 Rowley Farmhouse Ale is located at 1405 Maclovia St., Santa Fe, NM. Have you ever had a flight of craft beer on Rowley’s patio? What did you think? We’d love to hear about your experience, and don’t forget to share photos from your outings with us in our New Mexico Nature Lovers Facebook group, or tag us on Instagram by tagging #onlyinnewmexico for a chance to be featured! 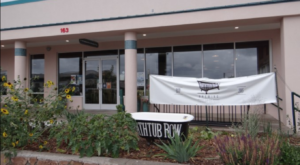 For another interesting spot in New Mexico, check out this unique brewery that lets you drink fine brews out of a bathtub.